Located on the 60-metre wide road in Sector Pi of Greater Noida, Eldeco Green Meadows Castle offers an excellent location, with great connectivity to Delhi and Noida. 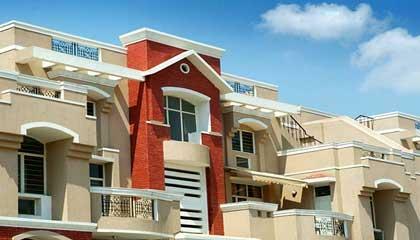 On offer are premium 2, 3 and 4 BHK apartments built across a combination of high-rise and G + 3 low-rise structures. The project boasts of excellent space planning with large, airy and spacious apartments and lots of greenery to include Japanese garden, Mughal garden and Rotary Park. The project offers the pioneering concept of Integrated Comfort Living (ICL) and features a shopping complex, a full-fledged club with swimming pool, etc within the complex. Provisions for round-the-clock security and 100% power backup are also available for the residents.